Our group started in 1999, under the instruction of Paulo Silva, professor Dakor. G.U.C. is based in North London and we also have classes in Luton and Stevenage. 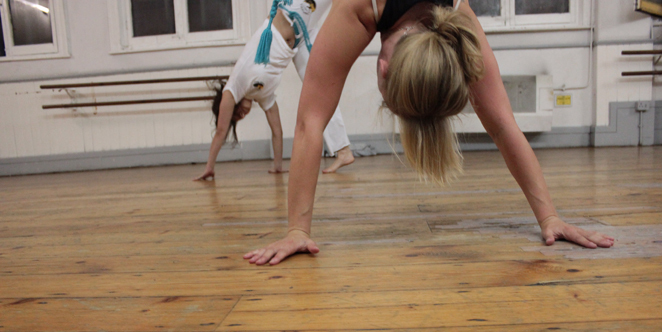 We have an open and welcoming attitude, inviting everyone to try Capoeira and discover its multiple benefits. 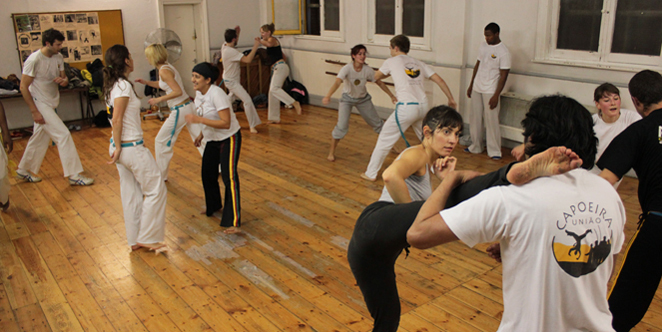 As a capoeirista, you will develop strong physical awareness and perception skills. 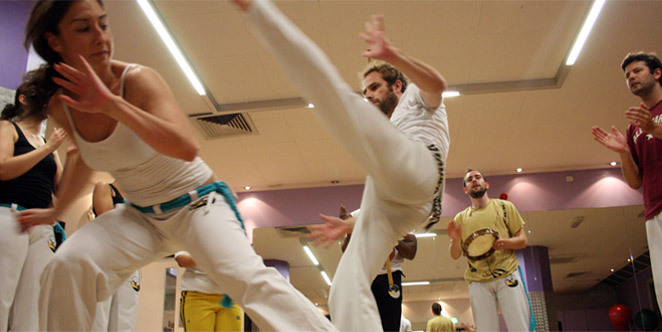 Playing in a Capoeira ‘roda’ requires focus and concentration. The rhythm of the ‘berimbau’ and the words of the songs determine the style and speed of the ‘game’. You must remain acutely aware of your opponent, your own body and the roda. Capoeira is a great way to keep fit. Combining music, dance and martial arts makes Capoeira a lot more interesting than working out in the gym. You will notice a real improvement in your core strength and balance after just a couple of training sessions. We run evening classes from Monday to Sunday in different locations around North London, Luton and Stevenage. Beginners are welcome to all our classes, and we also have dedicated sessions for more advanced students. We are always pleased to see new faces, so feel free to pop in and give it a try. G.U.C. is an open group, always happy to welcome newcomers to the family. Our teachers aim to create an environment that fosters energy and commitment – all we ask in return is a little hard work! 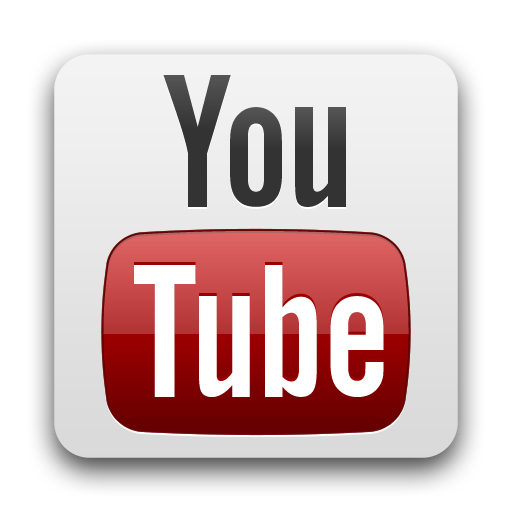 We are a close-knit bunch and organize events and visits to other groups in UK and abroad. If you want to improve your fitness in a different way, you are active and you are interested in music and tradition, Capoeira is for you. 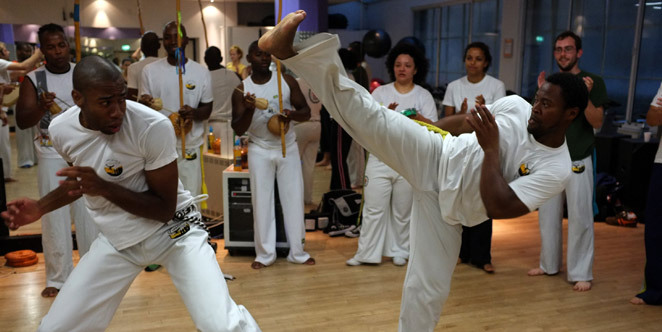 Capoeira combines martial arts, dance movements and music into a unique workout. Capoeira will improve your strength and balance, it will also give you awareness, flexibility and it will help with your coordination. 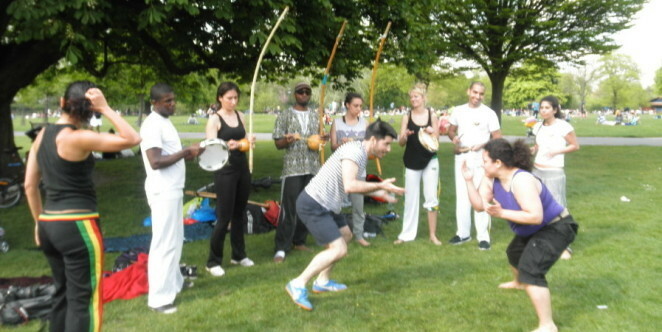 Combined with music and instrument playing, Capoeira benefits body and mind. Pop into one of our classes in Islington, Luton or Stevenage. Get a taste of Capoeira and the G.U.C. We are an open group, always happy to welcome new students. The group has been training in Islington for 19 years now. Our Sunday class in Caledonian Road is the best for parents and children that want to keep fit. A relaxed and familiar environment where everyone can engage in Capoeira games and music.